In January 2012 the African National Congress celebrated the hundredth anniversary of its foundation and spent R100 million (£8.2M) on the party. It has now held power continuously for almost 18 years and so its leaders saw this as a great cause for celebration. However, the celebrations were largely for the political elite and the few who have enriched themselves from the ANC’s rule. The working class, the unemployed and the impoverished millions, who have nothing whatsoever to celebrate, were conspicuous by their absence. The ANC was founded shortly after the creation of the Union of South Africa by a handful of western educated lawyers and journalists at a time when African society still was largely tribal although the tribal economic subsistence system was being destroyed by capitalism. The ANC’s founders turned their backs on tribal society and demanded equal rights for Africans within the emerging capitalist society, rights from which the settlement after the Boer War and the act off Union specifically excluded them. A further century of capitalist development, which has entirely destroyed tribal society, replaced it with capitalist society, and produced a predominantly African working class, has seen the ANC rise to become the dominant bourgeois force in South African politics. Such contradictions are threatening to tear the organisation apart. In the shameless enriching of its top members the ANC government has mired itself in corruption and cronyism which extends right up to the presidential office. At the 100th anniversary of its foundation there is actually little cause to celebrate. Since coming to power the ANC has been in a tripartite alliance with the South African Communist Party (SACP) and the Congress of South African Trade Unions (COSATU). This has been designed to shore up its power and provide political cover for its attacks on the working class. Needless to say workers have resisted the erosion of their wages and living standards and the last 2 years have seen massive strikes. In 2010 there was a civil service strike involving 1.3 million workers which lasted 20 days, and in 2011 there have been strikes in the mines, energy, petroleum, metal and paper sectors which have seen hundreds of thousands of workers down tools for pay increases. Although COSATU does its best to control and defuse these strikes, the general deterioration of workers’ conditions is putting pressure on the alliance and opening up fissures in the ANC itself. It was undoubtedly pressures from those feeling dispossessed and betrayed by the ANC which led to the ousting of the previous president Thabo Mbeki in 2008 and his replacement by the more populist Zuma. The ousting of Mbeki has led to his fraction leaving the ANC and forming a new political grouping Congress of the People (COPE). A further rupture, and a potentially more explosive one, has been opened by the disciplining and suspension of the ANC youth leader Julius Malema. Malema was a key supporter of Zuma during the defenestration of Mbeki, but the continual deterioration of the condition of workers and the poor has led him to turn his fire on the Zuma leadership and call for the nationalisation of the mines and the expropriation of white owned farm land. These issues, which are actually specified in the “Freedom Charter,” adopted as the ANC programme in 1956, are now quite contrary to the demands of South African and international capitalists and, of course the ANC leadership. 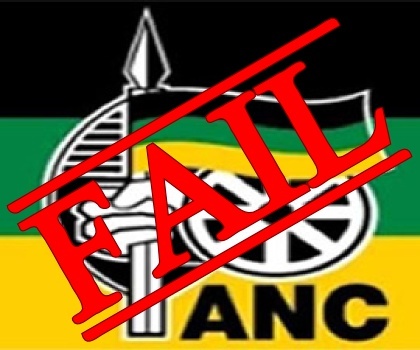 Consequently they are a great embarrassment to the ANC. His raising of these demands from the past is like the proverbial ghost appearing at the wedding feast to wreck the party. Although he has been silenced and suspended from the ANC for a period of 5 years he is giving voice to widely held grievances and the demonstrations at his trial show he has a strong following which is not going to be placated by the silencing of one man. In recent demonstrations, the unemployed demanding jobs, housing, running water and electricity have been met with ferocity similar to that of the Apartheid regime. At a demonstration in the town of Ermelo, in one of SA’s poorest provinces, 2 protesters were shot dead by the police. At another demonstration, over precisely the same grievances, in the town of Ficksburg, a protester, Andries Tatane, was beaten to death by police in full view of the television cameras. An explosive social situation is building up and could detonate if welfare payments are cut back. Certain commentators from within the ANC are looking nervously at the events of the Arab Spring, and seeing them as prefiguring the future for SA. While it is understandable that those in the Unemployed People’s Movement and some in the ANC youth organisation see the ANC as having “betrayed” them is this really true? The process set in motion by the British continued after the creation of the Union of SA and the most significant clearing Africans from the land was accomplished the year after the foundation of the ANC by the 1913 land act. This restricted African occupied land to 7% of the total land, outlawed squatting on white owned land and sharecropping. Africans were forced to become labourers on the white owned farms or workers in industry or the mines. Provision of labour for the mines, however, had been a problem for South African capitalists from the start. In the period after the Boer War the British imported Chinese workers as unskilled labour to work the mines as insufficient African workers could be found. The separation of Africans from their lands was of course the key to the solution of this problem. It allowed the migrant labour system, which was eventually enshrined in Apartheid dogma, to become the norm for the mining industry. The mining houses organised a joint recruitment agency, the Native Recruiting Corporation, which operated from 1912 onwards and recruited from the South African areas reserved for Africans, which were to be reduced to a mere 7% of the country the following year, and from the British protectorates and Mozambique. It is therefore incorrect to describe the ANC government since 1994 as having “betrayed” the working class as its opponents now do. It has implemented a bourgeois programme and is doing its best to foster an African bourgeois class in broadly the terms described by Mandela above. By the mid 1970’s it was clear to the main factions of the South African capitalist class that the migrant labour system in particular and Apartheid in general were leading the country to catastrophe. The increased capital intensity of South African capitalism meant that a skilled stable working class was required. Their strategy was to create an African middle class which they could use as an ally against the working class via the Urban Foundation, and African trade unions which could be used to control the class struggle. Of course, this meant providing political rights to Africans as well as other rights granted to workers in the metropolitan countries. There was only one political force which could implement such a programme and that was the ANC. As we have shown above the ANC was on the bourgeois side of the class barricades and this made its co-option as a tool of Western and South African capital possible. Before the ANC was unbanned the key sectors of South African capital, particularly the mining corporations, had received assurances that the statist elements of the ANC’s programme, particularly the nationalisation of the mines would not be implemented. These were demands from the 50s which were considered suicidal in the period of globalisation. The slow deterioration of the social situation in the 80’s finally convinced even the Afrikaner nationalists that bringing the ANC into power was the only route by which South African capital could be rescued from the cul-de-sac in which it was trapped. Since coming to power the ANC has not fundamentally changed the structure of South African capitalism. Having the ANC in power has benefitted South African capital in many ways, particularly in giving it access to the rest of Africa and making the opening up of trade with China, India and Brazil easier. The programme of Black Economic Empowerment which was, in fact, initiated by the South African corporations, not the ANC, has resulted in a few extremely wealthy black men who have no desire to change the present structure of things, and still remain in the top organs of the ANC. Politicians such as Cyril Ramaphosa, one time secretary of the National Mine Workers Union, and Tokyo Sexwale, ex-Robben Island prisoner, have become two of South Africa’s richest men through BEE. Both still retain their seats on the ANC’s national executive committee. Many black workers look to Mandela as the man who will free them from exploitation and hardship. They are greatly deceived. ….In fact the ANC’s objectives have nothing to do with the working class’s interests, they are to use the power of the state to foster a black capitalist class. …South African workers have no interest in placing themselves in the infantry of the African nationalists. Instead we advocated that workers should pursue their own interests independently of the bourgeois nationalists. This would have allowed the class issues involved to be clearly seen. Instead these issues have been obscured by a smokescreen of liberalism and moral outrage at racism. The result is a great confusion with talk of betrayal and projects to change the leadership of the ANC which can only be a great waste of time. 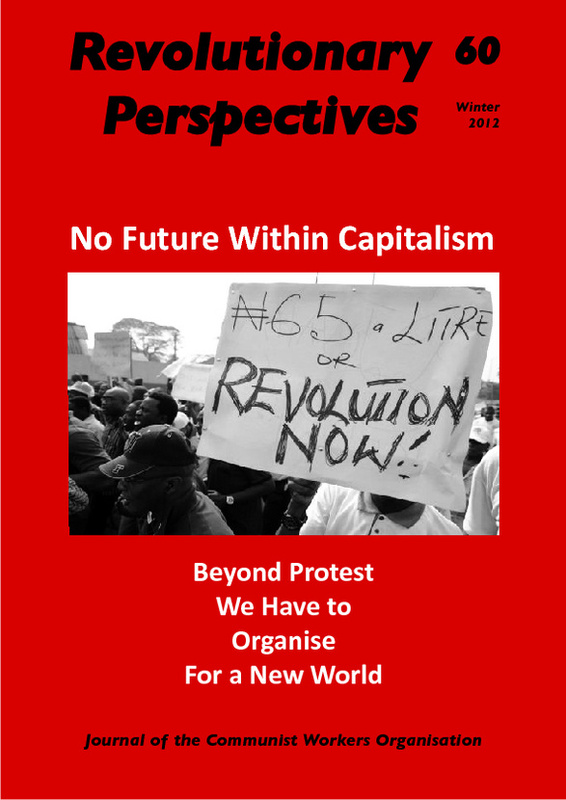 Much of the argument for supporting the national struggle, made by the Stalinists and Trotskyists, started from the view that Apartheid was essential to South African capitalism and hence ending it would bring South African capitalism crashing down. This would weaken western capitalism and produce a crisis in the developed capitalist countries etc. This has been shown to be complete nonsense. If anything South African capitalism is stronger as a result of the abolition of Apartheid, western imperialism has been strengthened and the class issues more confused than before. Behind these arguments lies the theoretical debate between Lenin and other communists including Bukharin, Piatakov and Rosa Luxemburg on support for the national struggle. This argument was fought out in the period before and during the First World War. Those who argued like Luxemburg, that in the epoch of imperialism the national question is now a thing of the past, have been vindicated by the 100 years of history which have elapsed since these exchanges. However, in the Third International the Theses on the National and Colonial Question were a confused compromise between the views of Lenin, who saw cooperation with the local bourgeoisie as desirable and those (like M N Roy) who argued for an outright independent communist struggle in the colonies. This confusion was to have dire consequences for the revolutionary movement. The most tragic illustration of this confusion came in China 1926-27 when Stalin, following the original Theses but forgetting that they had called for an independent working class movement, instructed the Chinese Communist Party to place itself at the disposal of the bourgeois Koumintang of Chiang Kai Shek. This resulted in the brutal massacre of Chinese workers in Shanghai and Canton. Lenin’s positions were developed in the period before World War 1 when he considered the bourgeois democratic revolution was on the historical agenda for Russia. He changed his position on nature of the future Russian revolution in April 1917 but never followed through the consequences of this. If the communist revolution is on the historical agenda, and this revolution needs to be international, as the Bolsheviks openly admitted, bourgeois nationalist revolutions can only obstruct and weaken the struggle for communism. Colonial possession alone gives the monopolies complete guarantee against all contingencies in the struggle with competitors. He argued that the colonies were a key source of the “super profits” with which the imperialist powers bribed their workers to maintain social peace. Out of such enormous super profits (since they are obtained over and above the profits which capitalists squeeze out of the workers of their own country) it is possible to bribe the labour leaders in the advanced countries in a thousand different ways. Cutting off this source of super profits, he argued, would precipitate a crisis and make revolution in the capitalist heartlands easier. In the event, decolonisation did not produce the crisis in the capitalist heartlands which Lenin had so confidently predicted. This is because the capitalist system is a global system, extracting and distributing surplus value globally, and the replacement of colonial bourgeois regimes by local bourgeois regimes does not alter the system as a whole in any essential way. Lenin also maintained that national bourgeois revolutions in the colonies could occur at the same time as communist revolution in the capitalist heartlands and in some way support this revolution. The social revolution can come only in the form of an epoch in which are combined civil war by the proletariat against the bourgeoisie in the advanced countries and a whole series of democratic revolutionary movements, including national liberation movements, in the undeveloped, backward oppressed nations. On the contrary the communist revolution must be a world revolution and the bourgeois nationalist revolution could never support the world revolution. The world revolution would have to overthrow bourgeois nationalist revolutions if they occurred at the same time. The mistakes of Lenin and the Third International have bequeathed a poisonous legacy which has been taken up by the left wing of the bourgeoisie, namely the counter revolution, with a vengeance. In the case of South Africa the arguments of a white workers aristocracy of labour, the theory of super profits going to the workers in the capitalist heartlands and the idea that the bourgeois nationalist revolution in the underdeveloped countries supporting workers struggle in the metropolitan countries have all been trotted out in order to justify subsuming workers struggles under the nationalist struggle. Today the increasing globalisation of capital has made the national state national only in the sense that it is dominated by the bourgeoisie of a certain nationality. In its key aspects it exists as an agent of international capital and the imperialist alliances in which it finds itself. This can be seen in the fact that the coming to power of the ANC was facilitated by US and European capital via financial sanctions and pressure. After the removal of the threat of Russian advances in South Africa in 1989 this pressure became irresistible. 6 Under the Bantu tribal system land was occupied by the tribe. Individual ownership of land did not exist before it was instituted by the colonial authorities. 8 Quoted in The Political Economy of Race and Class in South Africa, B M Magubane, Monthly Review Press. 11 See M Mbeki Architects of Poverty p. 158. 13 For a description of these events see H. Isaacs The Tragedy of the Chinese Revolution. 15 Ibid, Preface to the French and German editions. 16 Lenin Collected Works Volume 23 p. 60. 17 By communism we mean a system of global production for human needs controlled by workers through workers councils. This has nothing whatsoever to do with the state capitalist systems, incorrectly called communism, which existed in Russia and China.